The new series of Fusion’s “I Can’t Live Without” columns will share some of our team’s secret (or not so secret) items that they absolutely cannot live without. Even we could not guess some of these magical elements that make their lives better, more efficient or just plain happier. Stay tuned for every new posting of what our creative and talented wizards cannot live without – and feel free to steal, share or just enjoy! Lindsey Head is one of our uber-talented, creative and technologically-impatient designers. We asked her what she cannot live without. Her answer did not surprise us – but it may surprise you! 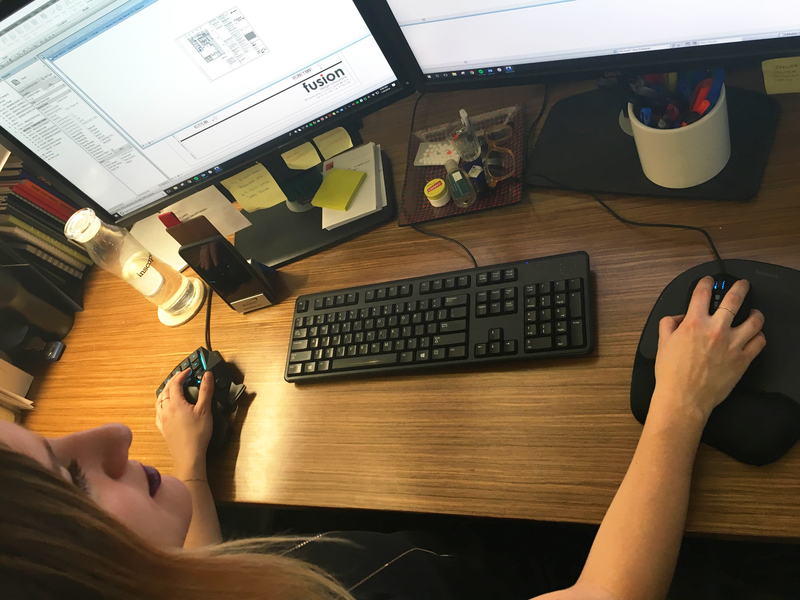 Read on to find out how she saves up to 40% of her working CAD time – by utilizing the one thing she absolutely “cannot live without”. So, Lindsey, what is the one thing you can’t live without? I can’t live without my programmable gaming mouse. What is the name of it again? Tartarus. I think it’s a horrible name but it does wonderful things. What are some of the features of the mouse? I originally got a smaller mouse. It looks like a normal mouse that you use with your right hand and that mouse became the first step into my addiction to programmable mouses. It has six buttons as your typical mouse has two buttons (left and right) plus the scroll wheel. This mouse has two additional buttons on either side. I hit them all day long - doing this motion [insert crazy claw hand motion here] with my hands. I was going to ask you that, you keep mentioning your right hand do you use another in your left hand? Yes, I do. I can explain that, but that’s where it all began. My brother is a big pc gamer so he opened me up to this whole world of “mouse”. That was another one of my questions, how did you discover the gaming mouse? Because I never even knew it was a thing. Right, and that is something that is so baffling to me that it hasn’t really arrived into our field of work - yet it’s a no brainer to me. Not only does it work for CAD and Revit but also programs like Photoshop! When I first got it, I was freaking out in the office telling everyone they needed to get one and everyone was like – “I don’t get it - what’s the point?” But it makes a huge difference. It makes my CAD and Revit skills 30-40% faster because I don’t have to think; it’s all muscle memory. How did you pick which command you wanted for the buttons on the mouse? How did you decide? When I got the large one for the left hand, it has a lot more buttons than the mouse I use with my right hand. I did what made sense and I programmed the most-used commands for the right mouse and then for the left mouse, I had to play with it a bit. There are some distinctions between Revit and CAD that you must separate. Mirroring, for an example, is different in CAD than it is in Revit, so there are certain commands that did not make sense to have in the same location. It really took a couple of weeks to figure out. Overall, learning the layout for my brain took 10 days because it’s not about being smart - it’s about muscle memory. Your brain chooses the button faster than it can remember the command. It eliminates the process of thinking at all, it’s just an automatic reaction. 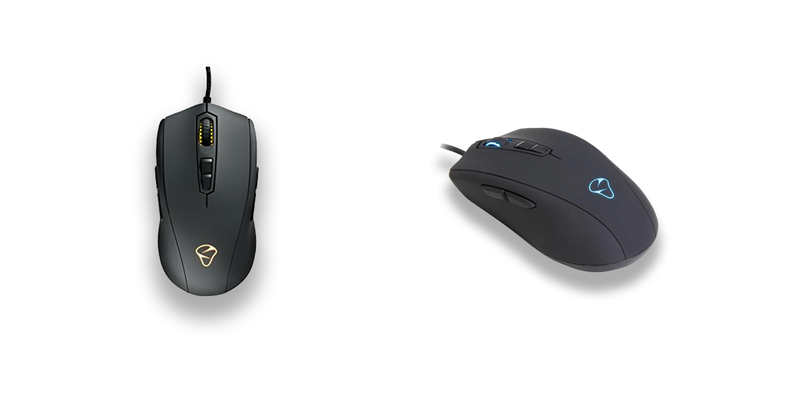 If you’re using something that’s not AutoCAD or Revit, can you still use the mouse? Definitely. Some of the things that are very helpful, like the escape button, the delete button, enter, all of those - are buttons that are programmed for both CAD and Revit but are also extremely helpful in other programs as well - whether that be Photoshop or looking at a PDF. I jump into a window and I click the escape if I want to get out. It makes everything very fast. Do you think people who aren’t the most tech savvy can pick it up easily? I think it’s a no brainer. It’s easy and the six-button mouse is only about $50. It’s not that expensive considering the value you’re getting out of it. I’ve had that one for two years now. We don’t do anything that would break the mouse - unless, you’re pc gaming and getting angry and throwing it around! I haven’t mentioned this yet but the Tartarus ranges 16 billion RGB colors on its cycling colors because it has LEDs on the board. I keep it changing to mix it up threes 16 billion options, why would you choose just one? It makes it look super fancy. Your brother introduced you to the mouse. Does he use one? That’s a great question. I believe he does and the gaming mouse for computer games has a lot more commands and there’s a lot more you can do with it. I haven’t even scratched the surface of the possibilities but even the primary function of being able to do different commands with the same button is worth the investment - and then you too will become addicted to it! Yes, in a good way! I’ve been really surprised by people’s negativity to changing over. I think people are afraid of change and of allowing technology to do the work for them and that’s something I’ve always been really open to and excited about. Also, there’s no reason to be afraid of it. I’m a resource for people in the office who want to change. My colleagues have that resource available. I’m not sure what the hesitation is and perhaps the value hasn’t been fully explained. Hopefully this article will give some more explanation (and inspiration!). Maybe the whole office will convert after this post. Omg I would be so excited. 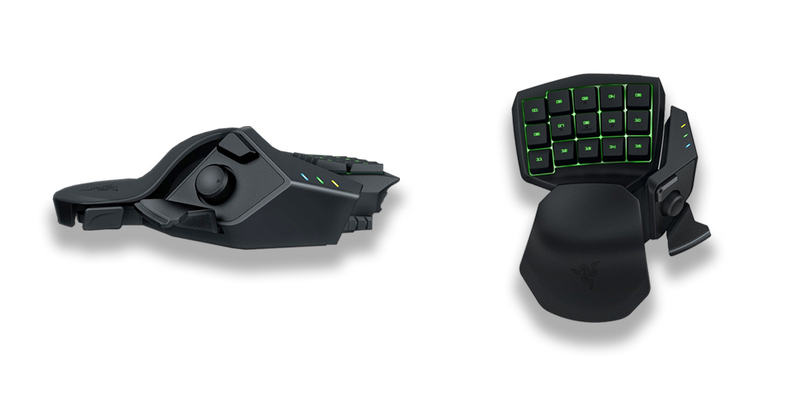 My Tartarus is also ergonomic, the left-hand mouse has the ability to get larger or smaller based on the size of your palm - allowing you to reach the buttons more comfortably. You’re not actually scrolling with it - you’re tapping it as a pad. You’re not really moving with it so it is very comfortable. I feel lost when I don’t have it. And I’m using my non-dominate hand so I am also strengthening it and strengthening my brain as well! But if anything, using the mouse keeps me really engaged in the technology of our field because there’s so much we could be using to our benefit that we haven’t even considered. I have yet to try the mouse in Photoshop, but that is my next goal. I think people don’t think that way very often; people don’t like change; I want to lead the way to pull in other new “can’t live without” things that we haven’t even thought of yet.